46 Billion pounds a year is the estimated cost to the UK economy of family breakdown. That’s more than we spend on defence! Employees who come to work sick, stressed or just ‘not quite with it’ make up about 60 percent of the total cost of worker illness to a company. "If you’re a UK employer, then you have a problem that I bet you’re not addressing - Presenteeism in Working Parents." say separation or divorce had a negative impact on productivity. 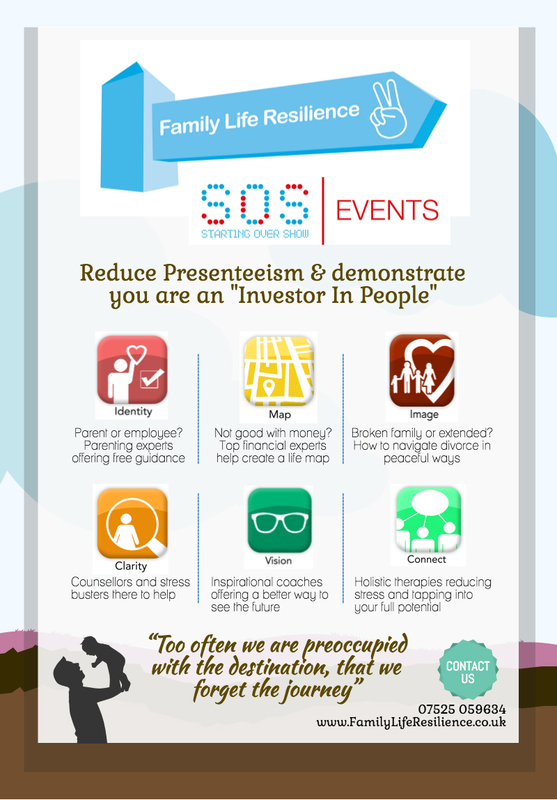 Does your organisation need to be an “Investor in People?" "As a working parent I know only too well how challenging it can be to maintain a healthy romantic relationship, help look after the kids and also pursue my career. 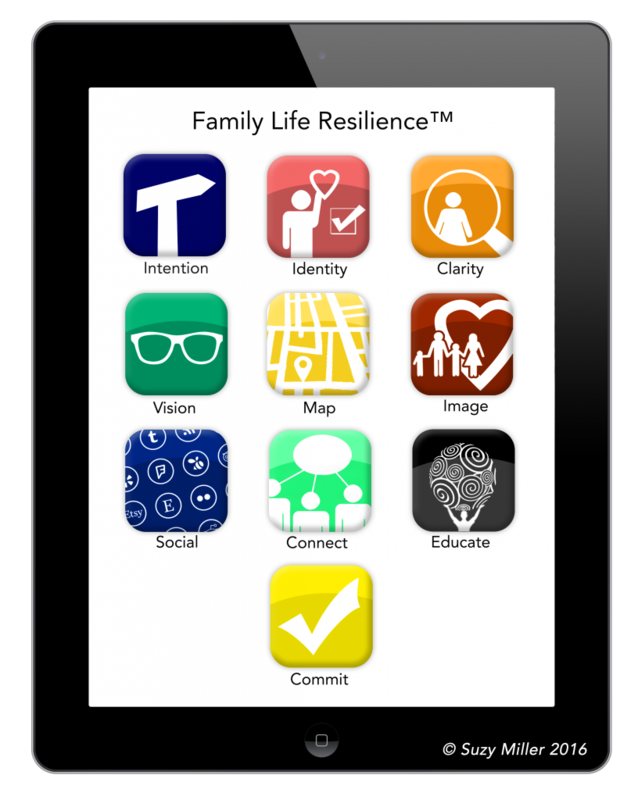 This Family Life Resilience ...Starting Over Show is a clever way to help us parents to help ourselves. I hope working parents take this opportunity ... for this life changing live event and enjoy the rewards that will cover most of what a working parent might need." 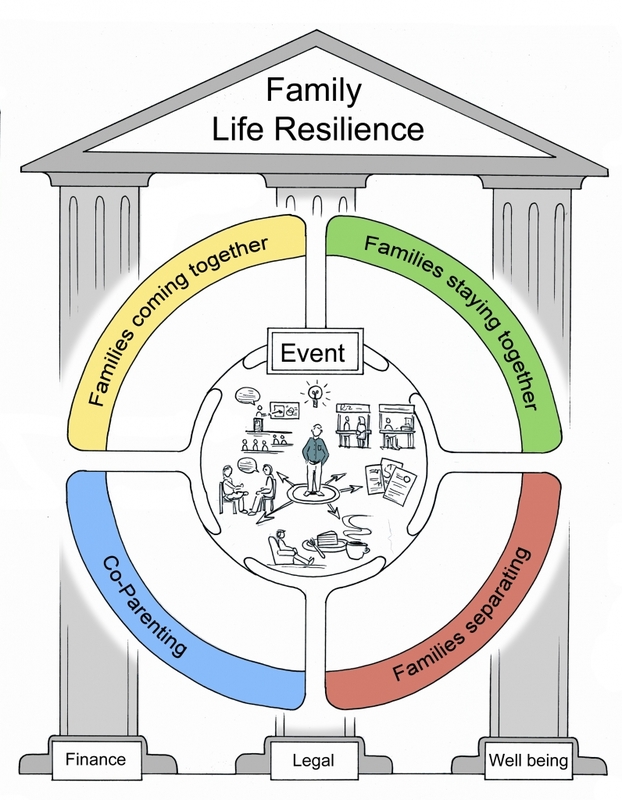 It was good to meet with you the other day and to hear about the very special 'Starting Over' Family Life Resilience initiative which you and your colleagues are currently delivering. Progressive organisations are always looking for innovative and cost effective ways to reinforce the message that they value their people. In this context I really feel that 'Starting Over' hits all the buttons on several levels. On reflection I was particularly struck that the interventions you are able to offer tackle the work/life balance conundrum head on, being founded on an appreciation that staff welfare and productivity is dependant how well equipped individuals are to respond positively to the challenges 'life' has a habit of throwing up. Good luck with your endeavours." Experienced psychotherapist Caron Barruw MSc,LCSW talks candidly about the many ways that family separation and coparenting can impact heavily on the workplace. For every employee who suffers stress, depression or anxiety at work, they’ll cost their employer on average 23 days of sick leave. Employee surveys have shown that one in ten have had to leave jobs after a split, or have a colleague who has, that 16% have seen workplace hit by sick leave following stress of break-up, that 15% say separation or divorce had a negative impact on productivity. This isn't just about marriage guidance or simple stress management - this is even more practical and empowering, helping working parents to be more resilient to family life events. Give them the power to prevent those life changes making their home - and work - lives harder than they need to be. Chartered Counselling Psychologist Adriana Galimberti-Rennie explains the impact of family separation on the workplace. "One in five men is at risk of depression at the onset of divorce and separation"
At least half of all of your employees (probably more) will believe they are protected by Common Law Marriage if they cohabit. They will not be aware that Common Law Marriage is a myth in the UK. It does not exist. ...a life changing process that has direct financial ramifications for their employers. Out of every 1,000 employees, many will be cohabiting - 27% of those will separate by the time their first child is 5 years old..
Are you employees resilient against the effects of family separation? 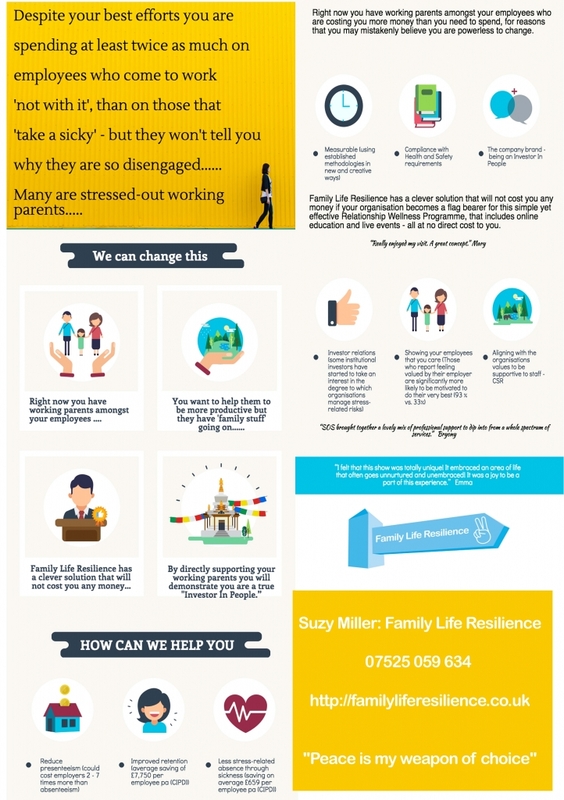 Is your workplace wellness programme doing enough to help build employee resilience to those everyday family events like separation and divorce, for example? Events that negatively impact on the employee, their team and the company itself. A recent Government-backed study (published 2016) indicated that broken relationships cost Britain between £20 billion and £44 billion a year in extra benefits for single parents, housing costs or spending on health and the criminal justice system linked to family break-up. The study did not take into account the cost to UK businesses or to the economy of the additional effects on productivity and working parents. 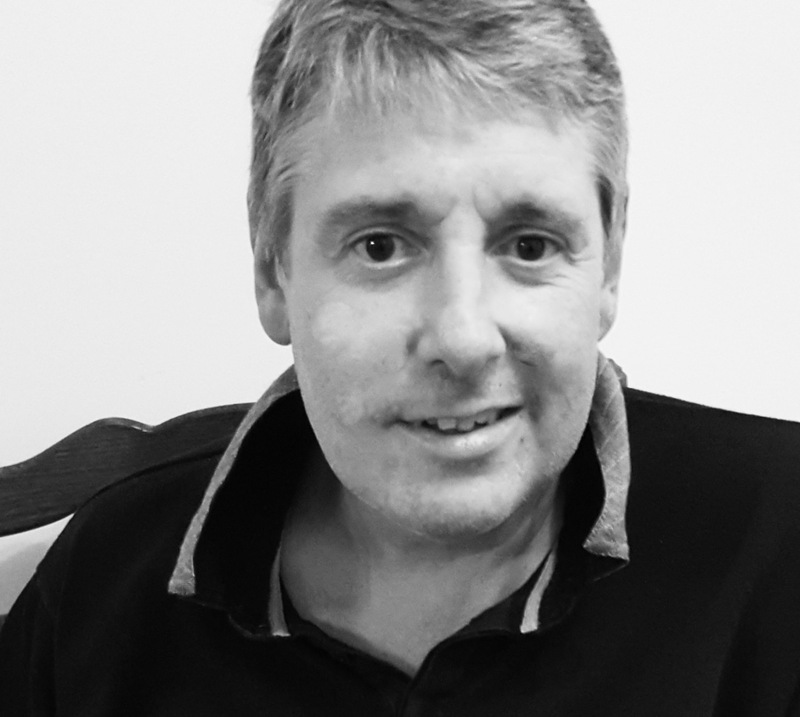 “The confusion and stress of divorce impacted my ability to focus at work, and with a high level management role in a large local Council, the negative impact on my teams and employers was inevitable. Also, as a man, I did not want to discuss the matter with my colleagues and even avoided using in-house EAP support, which did not provide the specialist information that I needed. With the relevant information and inspiration on how best to act, the high level manager quoted above, not only was able to become productive again - but also became resilient to other potential life situations, and was able to support others in the workplace - in confidence - who were dealing with similar situations. ... can be mitigated and reduced. 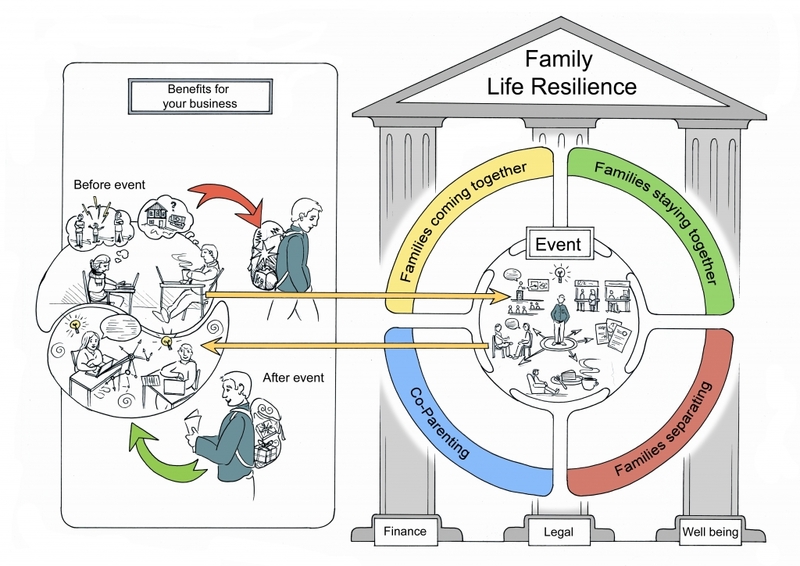 Much of the financial and psychological impact of 'family stuff' can be reduced simply by building in resilience - through sharing key information and inspiration with employees - BEFORE those life crises take place. Divorce Re-Invention Coach Zina Arinze talks about the mask we wear at work when dealing with emotional trauma and divorce. She talks in particular about how difficult it is to be a woman going through divorce when you have a career or job where you cannot share your pain. Resilience has been long been overlooked in many wellness programs, but decades of research are clear: High resilience is a strong predictor of health and productivity. So if you take action, you will be in the vanguard of creating a more resilient workforce, with all the financial benefits that come with it. A resilient workforce is a more competitive workforce, working at maximum capacity, more of the time. 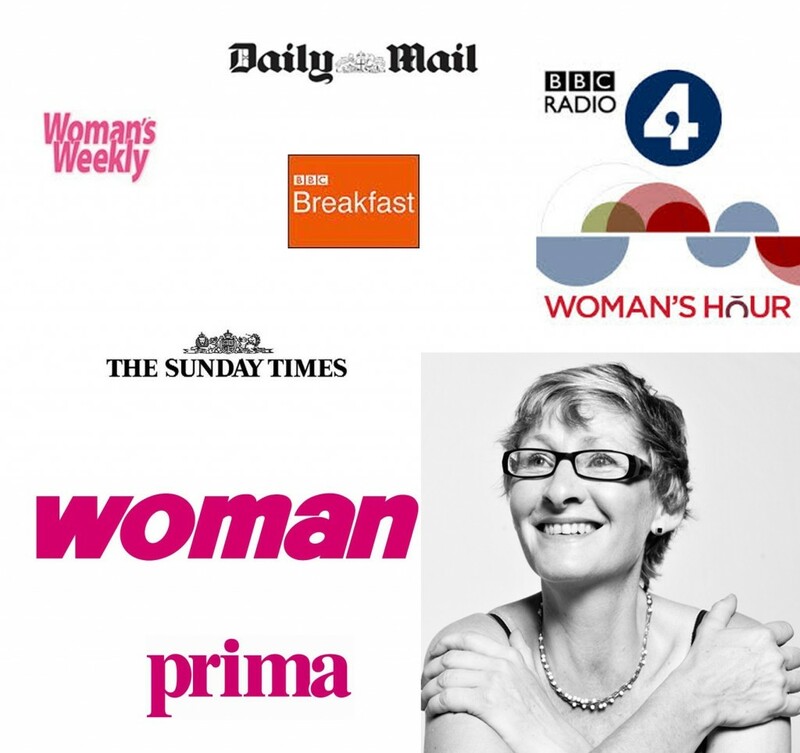 As a UK expert on family change I’ve written for national newspapers and magazines, appeared on Breakfast TV and Woman’s Hour, and as the UK’s Alternative Divorce Guide I’m well placed to create this innovate collection of video and other core national resources. I myself was in a 10 year cohabiting relationship with three children that ended suddenly, leaving me without any of the protection of my married peers. I survived though being resilient - but it would have been so much less stressful if I had had back then the knowledge and resources that I’m now able to share with others. A comprehensive corporate wellness program that includes educational and engaging solutions for both physical and mental health is a fantastic way to combat and prevent presenteeism by addressing many of the root causes of employee sickness. But budgets are tight. And HR personal as overworked as the employees they work with. Which is why I have created a range of resources that can be used effectively at no cost to the company or to the employees - because I have a mission. I want all employees in the UK to have access to basic information that can be life-changing for the and their families. Coping skills and building buffers to adverse events appear to be only part of the solution. It is increasingly clear that building social networks and support into the intervention is a critical success factor. That is why I include access to confidential online networks of support. By focusing on building resilience your mangers and teams and co-workers are going to be more productive, with less time off and less presenteeism. Resilience in the workplace will inevitably have a positive knock-on effect on the organisations resilience, because the workforce are empowered and resourceful through the optional training and access to key information and resources made available to them through the Family Life Resilience for Working Parents free Starting Over Show event. 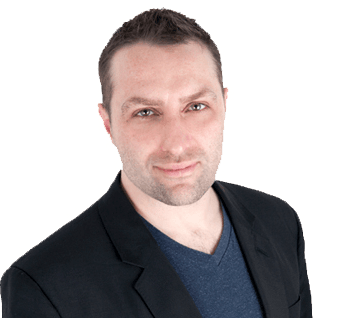 Whatever the size of your company or the number of employees, let me share resources with them that have been carefully collated over the last 5 years, endorsed by the likes of Resolution Family Law Association, National Family Mediation and other reputable bodies. Self-help tools and access to £100’s worth of 1-1 expert guidance, focused on empowerment and prevention, at no cost to the employees or to you via the events.